Sideshows “Unruly Industries” just keeps on giving and with the official launch date landed, we get to take a closer look at Joe DellaGatta’ take on “The Mad Titan” Thanos from Marvel. The question now is, can you handle Joe DellaGatta’s THANOS? Don’t mark yourself safe from this delightfully brooding baddie! 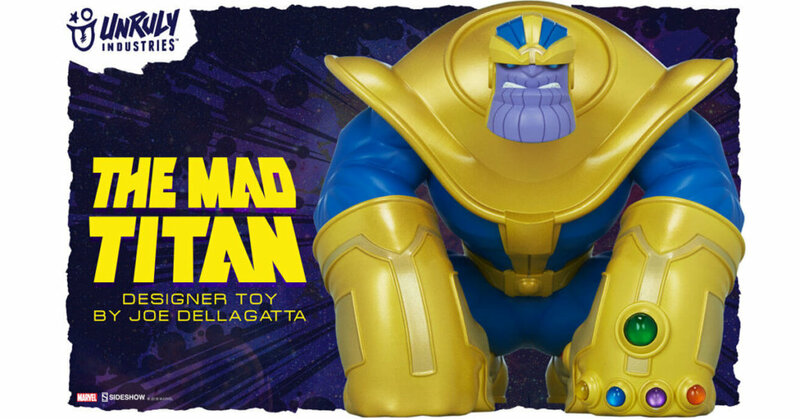 There are infinite possibilities for displaying this Unruly designer toy – The Mad Titan – designed by artist Joe DellaGatta. Artist Statement: The idea behind the Thanos statue was pretty straightforward: Big, ape-like, and exaggerated. Our project had a very short deadline, and it was all accomplished through great communication, and timely input. After a few rough sketches, [Unruly Project Manager] Erik and I were able to hone in on the design. One thing that stands out, in my mind, was Erik saying, “Make the lower jaw BIGGER.” Next pass: “Bigger.” Again: “Bigger!” Ha! He was totally right, though. And it was fun to push the proportions. My name is Joe DellaGatta, and I’m a freelance illustrator living in the Boston area. As a kid, video game, comic book, and cartoon art were a huge influence on me. (30+ years later, things haven’t changed.) I’m fortunate enough to work a full-time job outside of the art industry. 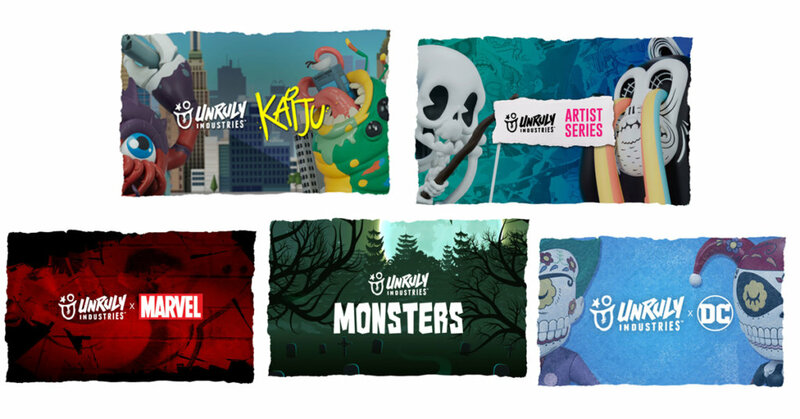 This allows me to enjoy my family life, balance our financial needs, and continue to work in the illustration on some really incredible projects as I have here with Unruly. Brand Marvel Manufacturer Unruly Industries Type Designer Toy. Unruly Industries Marvel Designer Toy line will be new and whimsical takes on beloved comic characters! Artists Joe Dellegatta and Tracy Tubera bring their unique and fun twist on The Mad Titan, T’Challa, Wade Wilson, Miles Morales in the first wave of Marvel Unruly pieces!